Ashish is Director of Technology at Target since May 2016 where he is responsible for managing Identity Access Management for Target workforce. Prior to Target, Ashish worked at Kaiser Permanente, Deloitte, AurionPro now KPMG in similar roles managing Identity and Access management for enterprise. Ashish has more than 12 years of IAM experience working with multiple vendors products to developing custom user interface and tools for on boarding applications to identity platforms. 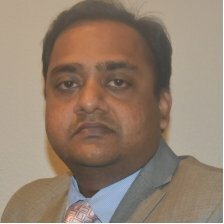 Ashish holds Master degree in Computer Science from Colorado State University and Bachelor degree in Computer Science and Engineering from Indian Institute of Technology Kharagpur.